mEvite's SMS gateway offering different reliable platform to handle all your SMS traffic. Our platform is strongly able to handle the vast and huge amount of SMS traffic. Our professionals leave no stone unturned in presenting the best quality of Bulk SMS Gateway. 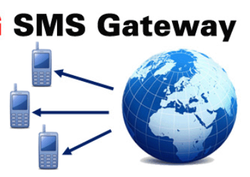 Used for sharing information with the customers, the SMS gateway is execution within promised time frame. As a quality focused name, the quality of these services is always maintained.